Why Risk Sense reports are unique ? What’s included in our Advantage Packages ? How to get Risk Sense Reports ? What is our approach to risk calculation ? What is our language of probability ? On 09-10 March 2017, President Recep Tayyip Erdogan visited Moscow to meet Russian President Vladimir Putin. The visit was the fourth meeting between the two leaders in the last six months and further enhanced the relations between the two countries. The approval of a visa exemption for Turkish businessmen and politicians also covered during the meeting, along with many other issues. From this perspective, we unravel the answers of some critical questions in our Turkey-Russia Rapprochement Special Report with respect to international business. What will the business with Russia look like? Russia is the main import source for the Turkish economy. 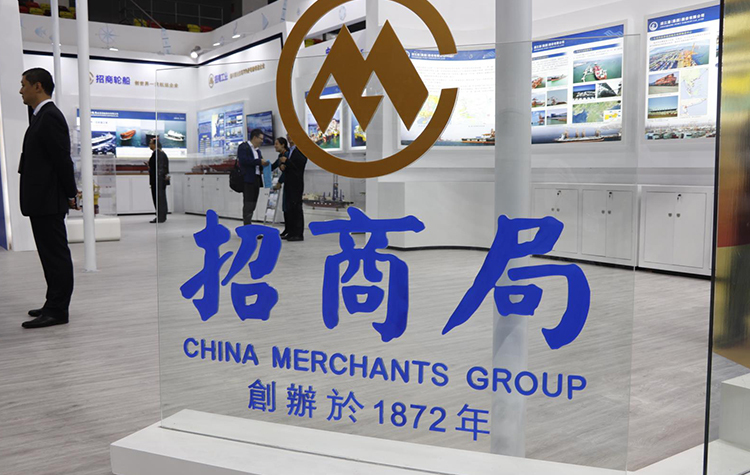 Imports from Russia account for about 13% of overall imports. Will that likely to change? Assuming that all the sanctions imposed on Turkey are lifted by Russia, which sectors will benefit most? Turkey has a western stockpile of weaponry in all air-land-sea domains. How will Turkey-Russia Rapprochement affect defense business in Turkey? The total value of projects undertaken by Turkish contractors in Russia surpassed 26 billion Dollars, making Russia by far the most important market for Turkish construction services. What are the critical factors that Turkish construction sector must take into account for future projects in Russia? There is a growing interest by the Russian firms, especially in the telecommunications, energy and tourism sectors, in investment in Turkey. 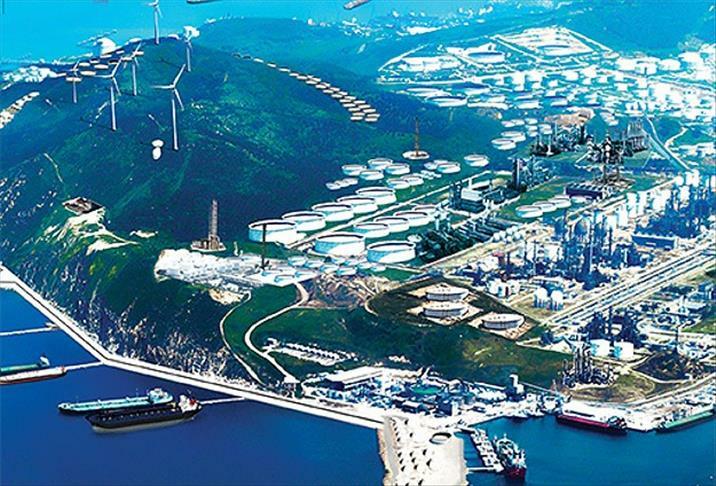 What are the opportunities for both Turkish and international companies to exploit potential Russian investments in Turkey? What is the future of peaceful nuclear energy cooperation with Russia? Why Akkuyu Nuclear Power Plant will be a game changer? 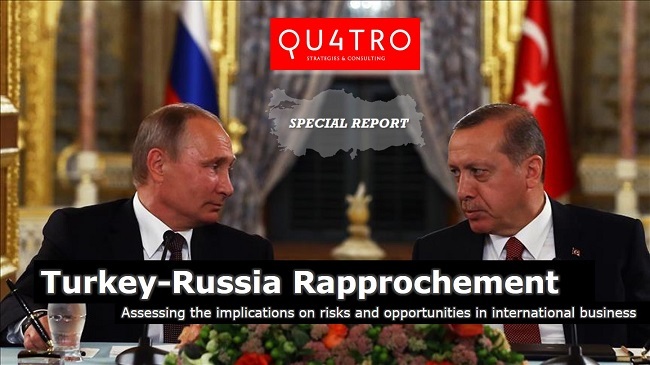 Turkey-Russia Rapprochement Special Report, especially when digested together with our Turkey Referendum 2017 and Turkey Outlook 2017 Special Report, is the ultimate guide for both Turkish and foreign companies operating in Russia and Turkey. Turkey based Quatro Strategies and Consulting is a Political Consultancy, Corporate Strategy and Risk Analysis firm. We provide candidate development, political communication strategy, political strategy development, political campaign management, media relations and e-campaigning in political consultancy domain. Under Corporate Strategy services, we develop and refine your business strategy in line with your end states to consolidate your investments while reaching out to new markets and devising new strategies according to your needs. As per Risk Analysis, we provide Special Predictive Analysis and Operational Country Risk Reporting on Turkey and its imminent surroundings.